Arrow Films will release the critically acclaimed documentary Gleason in cinemas in the UK on the 17 March, 2017. Written and directed by Clay Tweel, the film follows former American football star Steve Gleason as he is diagnosed with MND/ALS (Motor Neurone Disease) at the age of 34 and learns that his wife is pregnant with their first child. Determined to live his remaining years to its fullest, Steve goes on an expedition to Alaska, creates a foundation to help other ALS (MND) patients, repairs a rocky relationship with his father and embraces new technologies to help compensate for his deteriorating physical abilities — all with Michel’s unwavering support. Brimming with humor and heart, this inspirational documentary follows a man who battles overwhelming adversity to find his true purpose in life. 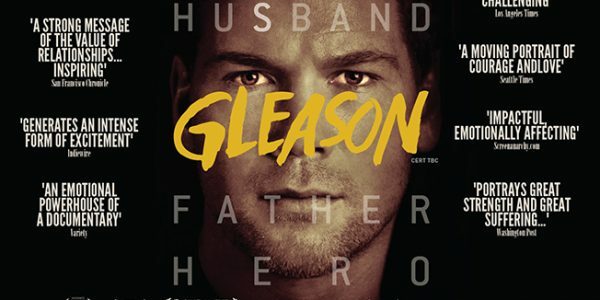 Gleason premiered in the UK at the BFI London Film Festival 2016 and won the Audience Award at SXSW Film Festival 2016, The Critics Choice Documentary Award, Special Jury Mention at the Full Frame Documentary Film Festival as well as Best Documentary at the Seattle International Film Festival, Phoenix Film Critics Society Awards and North Texas Film Critics Association. It currently has a 96% approval rating on Rotten Tomatoes based on 52 reviews.